We’ve included a few full-sized photos of the large trunk organizer so you can see the items close up. Click on any image to enlarge it for a detailed view. 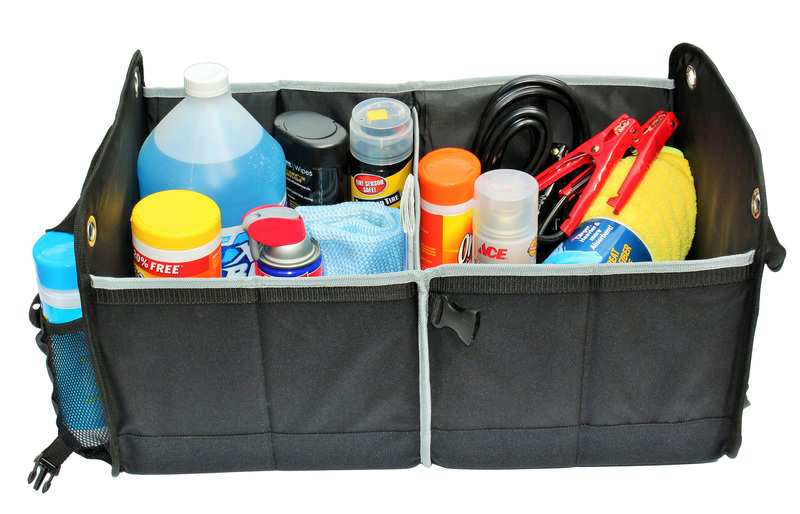 Our heavy duty car trunk organizer measures 23 inches long, 14.2 inches wide and 12.5 inches tall (58 x 36 x 31.5 cm) when fully expanded. 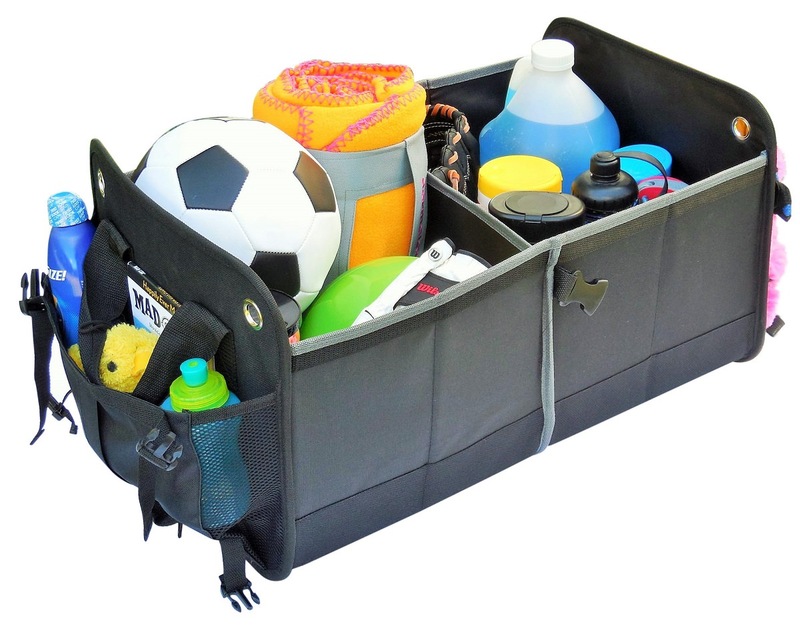 The cargo trunk organizer has a sturdy bottom designed to carry sports equipment, groceries or weekend gear to and from the car while keeping everything neatly organized. Pockets are located on either side of the organizer to keep items like beverages, toys, and tissues within easy reach. 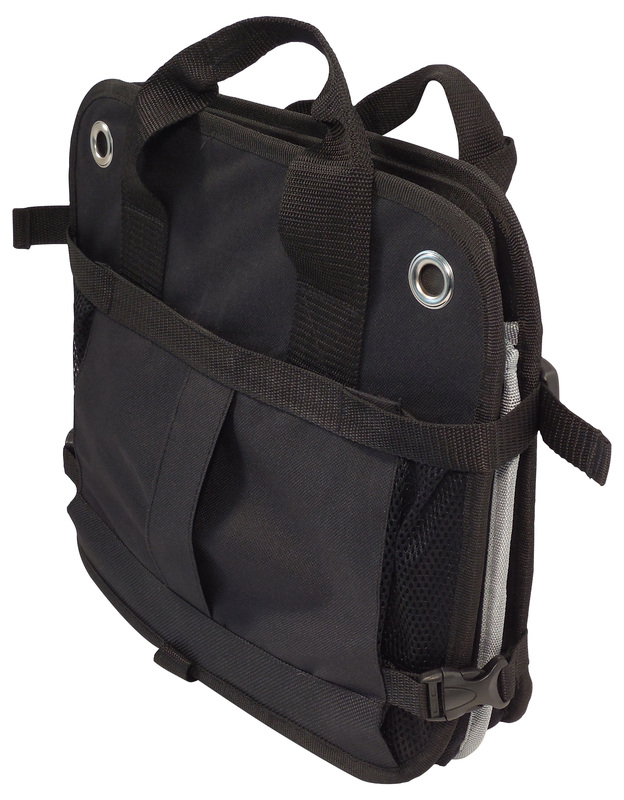 The deep main compartments, sturdy sides, and flat plastic bottom insert keep your items securely in place, especially during bumpy car rides. Tie downs can be used for additional security when needed. 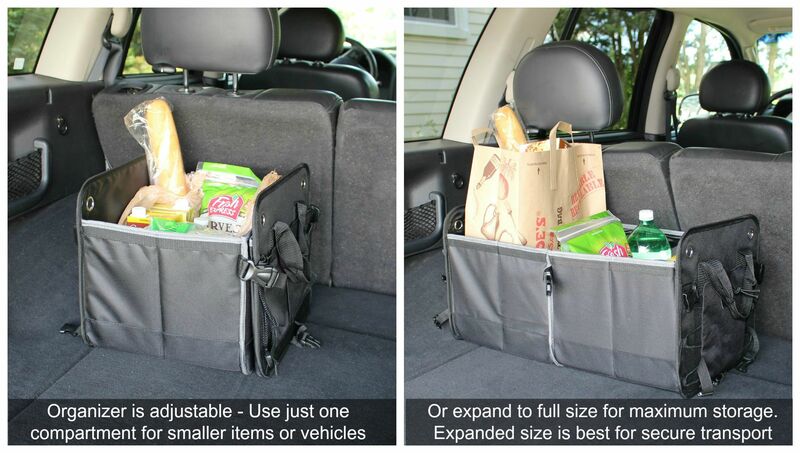 When not in use, the car trunk organizer collapses to just 15.5 x 3.5 x 13 inches, so is easy to store. 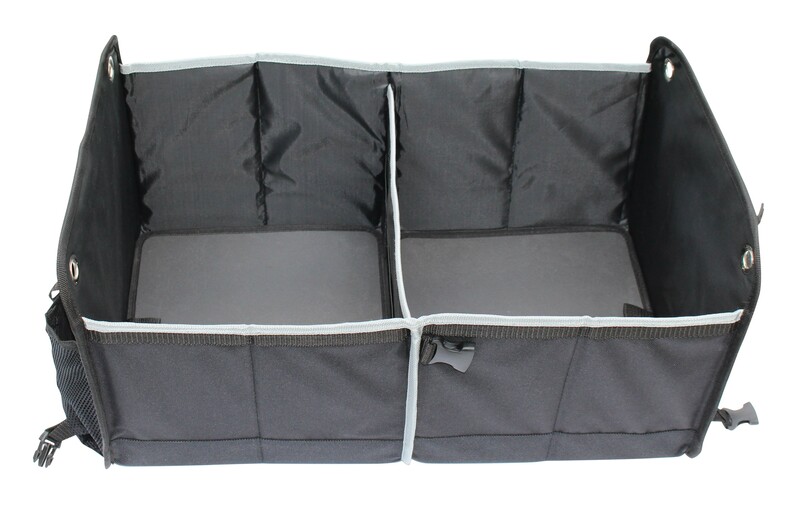 Strong plastic clasps secure all sides of the organizer to ensure it stays in good shape. 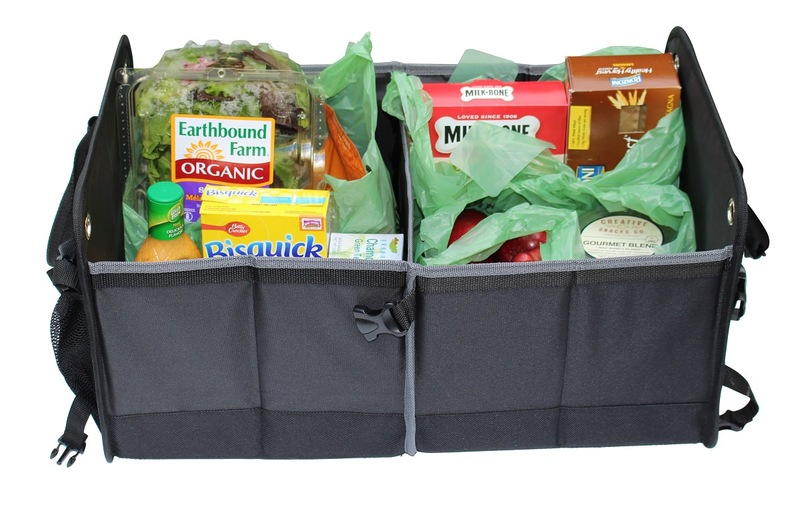 See additional details on the main trunk organizer page.